United Way of Boone County believes in fairness and equality and recognizes the value of inclusiveness by encouraging the full participation of all individuals in fulfilling its mission of helping to sustain vital human services for those who need help most while reducing such needs for future generations. Volunteers play a vital role in United Way's ability to effectively address the urgent needs in our community. 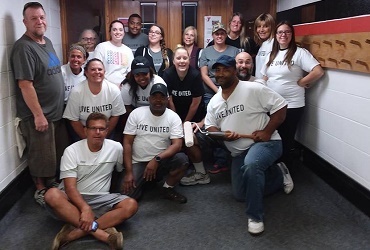 United Way of Boone County's Volunteer Center is the place where volunteers and opportunities connect. Each spring, community volunteers from all walks of life are recruited to review funding requests received by the United Way of Boone County from local agencies. To fulfill our mission, we work with partner agencies and programs that help us address critical issues in Boone County. United Way of Boone County has partnered with FamilyWize to distribute prescription discount cards free-of-charge to everyone in Boone County. 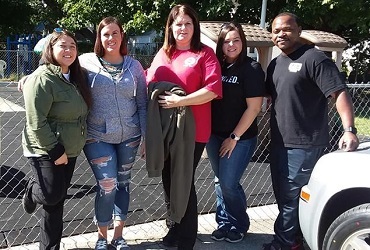 United Way of Illinois is a statewide association of 53 local organizations that create long-lasting community change by helping children and youth achieve their potential, promoting financial stability and family independence and improving people's health. The organization strengthens the United Way movement in Illinois through service to its members and advocacy for effective health and human services policies for the people of Illinois. United Way is engaged in nearly 1,800 communities across more than 40 countries and territories worldwide. We are focused on creating community-based and community-led solutions that strengthen the cornerstones for a good quality of life: education, financial stability and health.